Finding the right tablet to TV HDMI cable at first glance seems like a very simple thing to do. Many of us find the need to share our mobile device content on a larger screen, i.e. TV, so we can share with other people. Frequently though, making this connection work can be a frustrating experience. Most of us are familiar with HDMI cables, as modern flat-panel TV’s have been making use of them for quite some time now. They currently provide some of the finest quality signal for your TV and also make hookup to the TV simple as there is only one cable with one connector. From personal experience, with purchases such as cables you need to know what you’re looking for before you go looking. Assuming that you have a modern TV with an HDMI connection, to get the right HDMI cable you simply need to know two things: The kind of HDMI port on your tablet and the length of the cable you need. Don’t assume that all tablets and mobile devices have the same HDMI connector. If you’re not familiar with the different kinds, then locating the owner manual for your device would be the safest way to determine this. If you no longer have your manual, then search online. Most are readily available with a search of your model number. For example, if your device has a “mini” port, then the High-Speed Mini-HDMI to HDMI Cable – 10 Feet, would be an excellent choice. 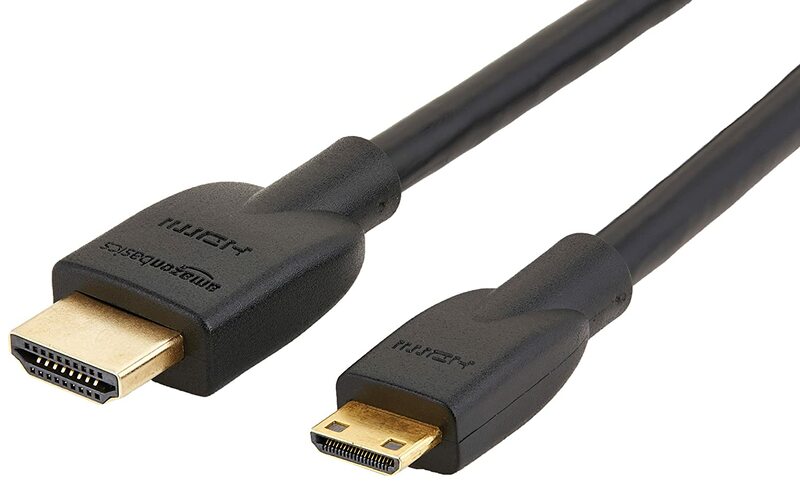 Take a look though at the following cable having a micro connector: High Speed Micro HDMI to HDMI cable with Ethernet (6 Feet). Clearly there is a big difference between a mini and micro HDMI connector. If you went shopping for something “smaller” than a regular HDMI port, you could still buy the wrong one. If your tablet is of the Apple type, or even an iPhone then you may need an extra converter to change from the Lightning Digital port, to a regular HDMI output such as the Lightning Digital AV Adapter for iPhone / iPad. Once you have this adapter, then you can use a regular HDMI cable like this High-Speed HDMI Cable – 6.5 Feet, to finish your connection to your TV. At this point, we’ve shown three different HDMI cables you could use to connect your cable to your TV. If you know the kind of port your device has then it is a simple selection of the right one. Otherwise, trial and error until you get the right one is going to be a very frustrating experience. Remember earlier we said to assume that your TV has an HDMI connection. Well, in reality many TV’s do not have one of these, especially if they are older. One example of this is a TV with 3 RCA type input connectors. 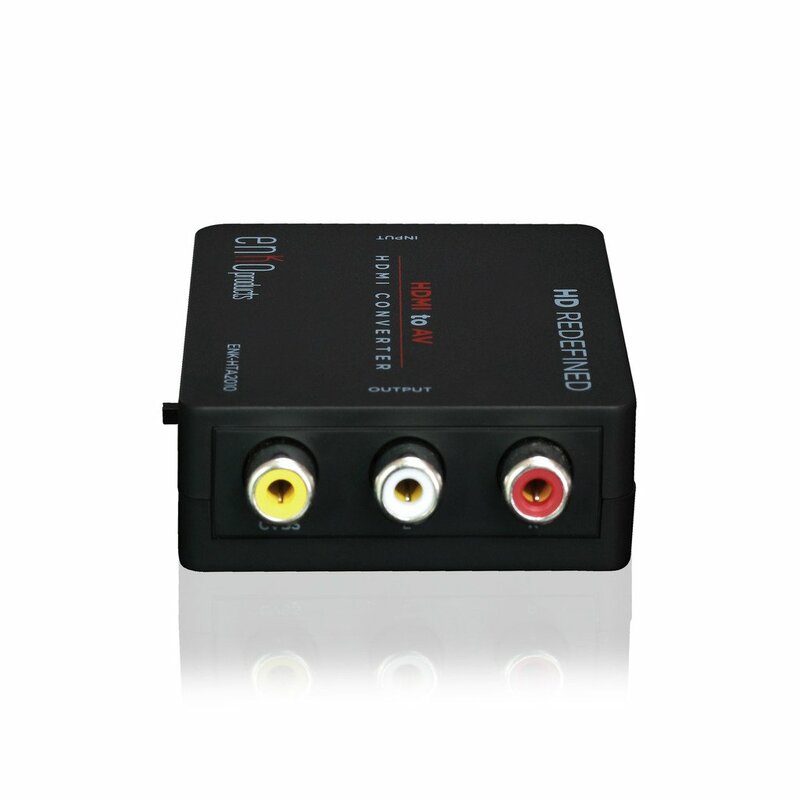 With this scenario the simplest solution is to convert your TV’s RC connector to standard HDMI using something like the Mini Composite HDMI To RCA CVBS AV Converter. Once this is in place, you now have a standard HDMI connector at your TV and can follow the steps in the previous section to locate your correct cable. The previous sections where determining the right HDMI connector might seem intimidating, but using a wire is still the easiest method – just one wire to connect. There are no Wi-Fi connections or passwords to deal with. The downside though is that most HDMI cables are less than 15 feet long. If you want to be able to use your device while viewing the big-screen across the other side of the room, this length may be a problem. This article would be incomplete without at least a mention of the different ways to connect wireless from your mobile device to your TV. One of these ways is to use a technology called Miracast™, which lets you stream from your device with your home Wi-Fi. 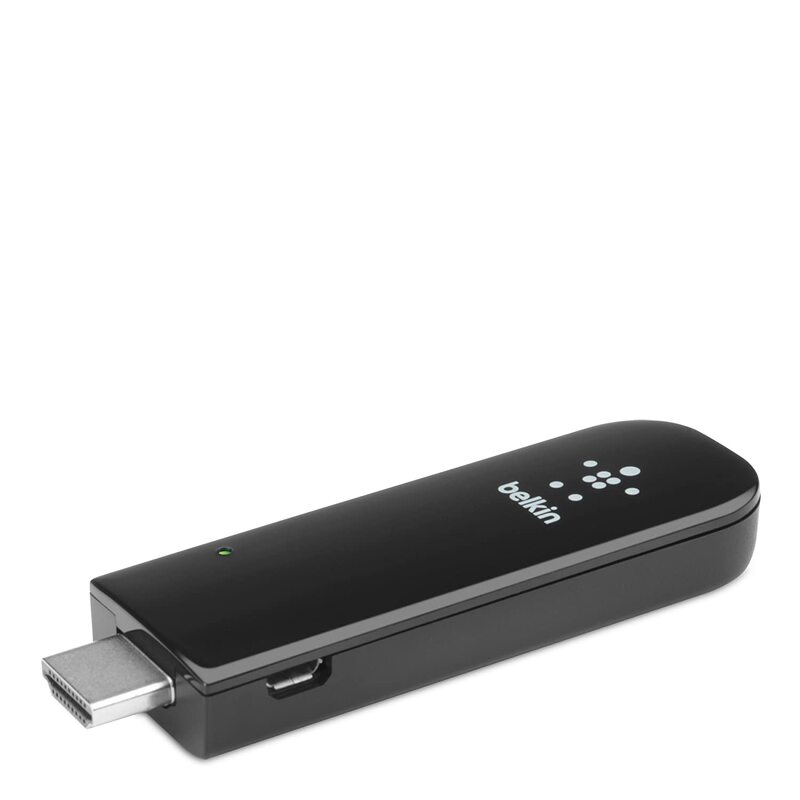 One such device is the Belkin Miracast Video Adapter. There are some on how to use “Display mirroring” with the Amazon Fire TV which may be helpful. Another option for Android devices is the Roku 3500R Streaming Stick (HDMI). There is an option in the Roku settings to enable screen mirroring and casting on your Android device. You then can click on the streaming icon that pops up on your phone or tablet to view on your TV. Apple devices such as the iPad or iPhone may be better served using wireless by purchasing an Apple TV. Apple TV’s connect to your TV using a standard HDMI cable and the wireless is handled by Apple’s AirPlay. No need for you to piece things together in this case, although the Apple TV might cost you a bit more than a standard cable. Check out one of these options to connect your tablet to your TV. Just doing a little research on your mobile device’s HDMI port first can save you a lot of hassle.